Mexico is a land of incredible beauty and contrast. The variety of dramatic landscapes on offer is astounding, from extensive coastline fringed with pristine beaches to cactus-studded deserts, snowcapped volcanoes and lush jungles littered with the ruins of ancient civilisations; and the nation's rich culture, cuisine and art are among the world's most vibrant. This is an exciting, expansive country with extraordinary environmental and cultural diversity, energetic cities and rich pre-Columbian and colonial history. Join us as we explore this incredible country! 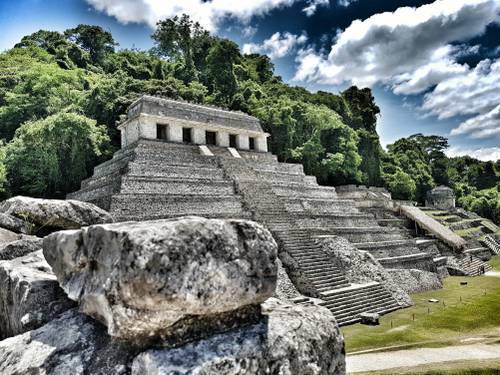 Tour the spectacular ruined cities of Mexico's pre-Hispanic civilisations, from the ancient pyramids of Teotihuacan, to the Mayan jungle sanctuary of Palenque, the remarkable ancient structures of Uxmal and Kabah, and the striking Mayan temples of Chichen Itza. Be blown away by the beauty and grandeur of Sumidero Canyon, a lush river gorge whose steep cliffs tower up to a kilometer above you; and unwind with a cold drink on the perfect white sand beaches of Cancun. Discover culture, cuisine and history in the busy streets and world-class museums of Mexico City, Mexico's overwhelming capital; then grab your camera and explore the cobblestoned streets, striking cathedrals and colonial architecture of charming San Cristobal De Las Casas. 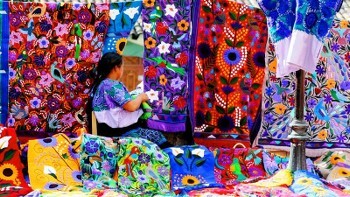 Wherever you go, the vibrant cultures, brilliant colours and welcoming people of Mexico are bound to captivate. Take a look at our unique itineraries and start planning your Mexican adventure of a lifetime! 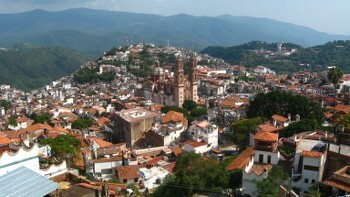 Soak up this vibrant ancient city with its Aztec and Spanish influences. Fall in love with Puebla with its rich history. 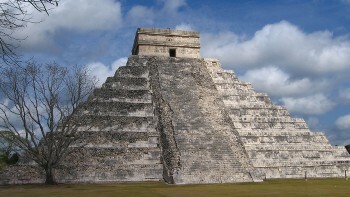 Discover the spectacular Mayan archaeological site of Chichen Itza. 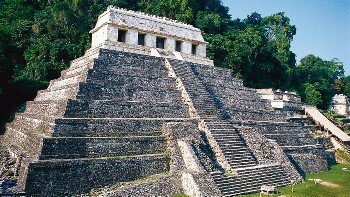 The setting for this spectacular ancient Mayan city is splendid, engulfed in the endless tropical jungle. 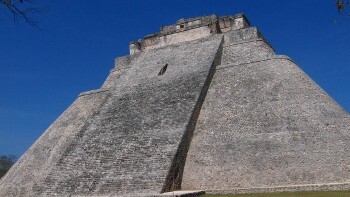 Experience Uxmal, a renowned gem of Mayan architecture and the enormous archaeological site of Kabah. 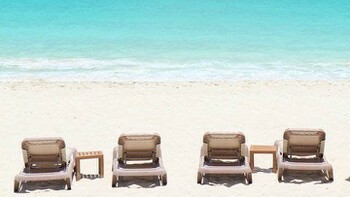 Kick back in Cancun, one of the most famous beach resort cities in the world, and enjoy its perfect white beaches. Grab your camera and explore the town's cobblestone streets, striking cathedral and wonderfully preserved colonial architecture. 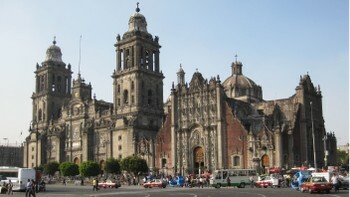 All of our Mexico journeys are highly inclusive, making them great value for money. We aim to incorporate as many inclusions as possible into the tour cost such as carefully selected quality accommodation, most meals, private vehicles and excursions. Our guides in the field are what make your Mexico experience special. They are a passionate group of tourism professionals with extensive knowledge of the long and varied history of civilisations from the local ruins to the best walking trails and most authentic restaurants. 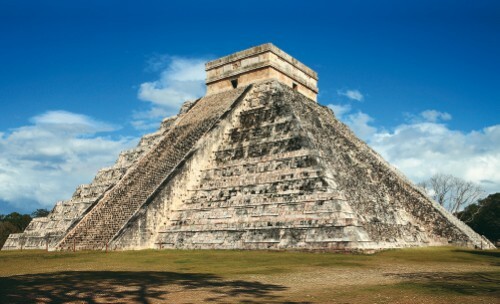 With our team of local experts, we can customise your Mexico experience to create the perfect holiday should you wish to extend your time discovering Mexico's bustling capital or exploring the magnificent ruins of Chichen Itza. This is a large country and the climate varies accordingly. The hot, wet season is from May–October, with June–September being the hottest period of this season. San Christobal is cool all year round. In winter, northern Mexico is chilly but the weather in the south is mild. On the Yucatan Peninsula, the wet season extends to November, while the temperature remains fairly constant throughout the year. Credit cards are widely accepted, particularly Visa, MasterCard and American Express. ATMs are available in most cities and towns and are the most convenient way to get money. ATM's are available in most cities. Although many businesses will accept foreign currency (particularly US Dollars) it is best to use pesos. Foreign currency can be exchanged at one of many casas de cambio (exchange houses), which have longer hours and offer a quicker service than the banks. Electricity in Mexico is 127 Volts, at 60 hertz. The most common pin type is A. 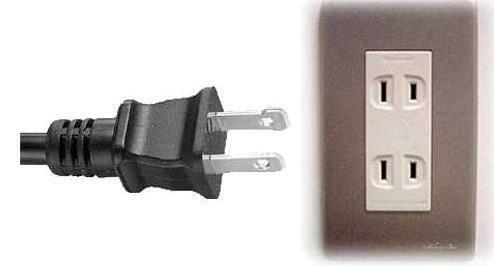 (2 flat prong). Australian, British, European Union, United States, Canadian and New Zealand passport holders do not require a visa for entry into Mexico for a stay of up to 180 days. However, on arrival you will be required to obtain a Mexican government tourist card (tarjeta de turista) which is available free of charge at Mexican Immigration points (including airports). You must retain this card for the duration of your stay and hand it to immigration on your departure. All other nationalities should check with their nearest consulate.